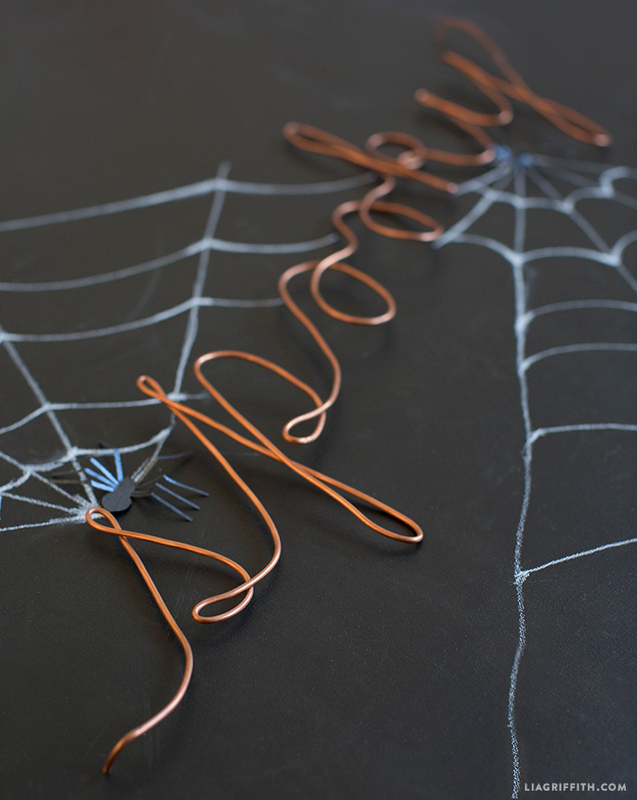 Word on the street is our spooktacular wire wall decor is the project you should be crafting! 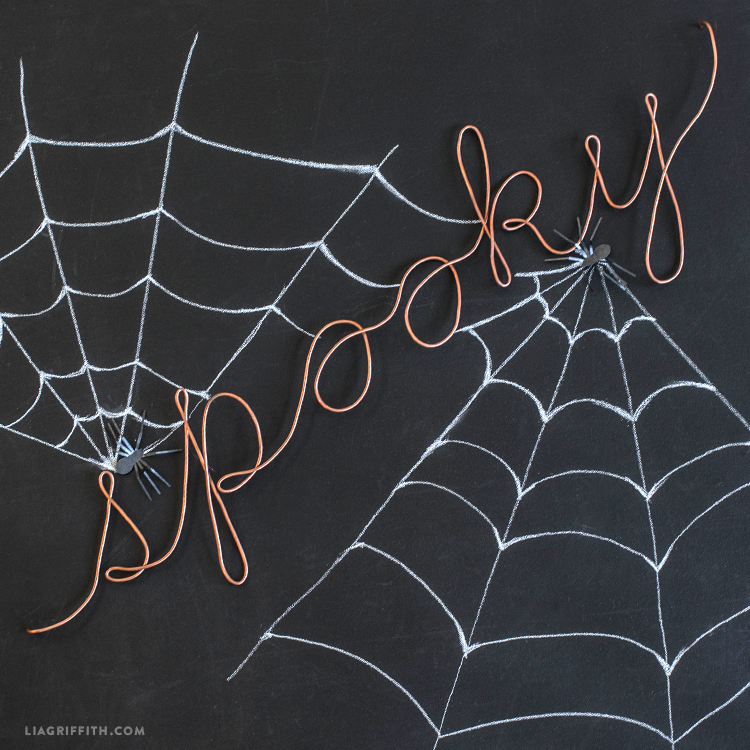 Copper wire words are such a fun and easy way to personalize a space… If you love making this “spooky” version, run with it and try other words for other holiday/seasons. We previously released a video tutorial to help you create some of our other copper wire word projects. Feel free to refer to this video for help in crafting this Halloween version. Questions? Feedback? We love hearing from you! Reach out any time. And remember to use #MadeWithLia when sharing photos of your latest projects — you are our greatest inspiration! Bending the copper tubing was a little more difficult than I had expected but the results are fantastic. Looking back at the pictures, I should have improvised on the letters instead of following the template to a “t.” I ran into some complications with the “o’s” that could have been avoided if I hadn’t tried to do the tiny loops in the template. Overall, this makes a great addition to my Halloween decor. 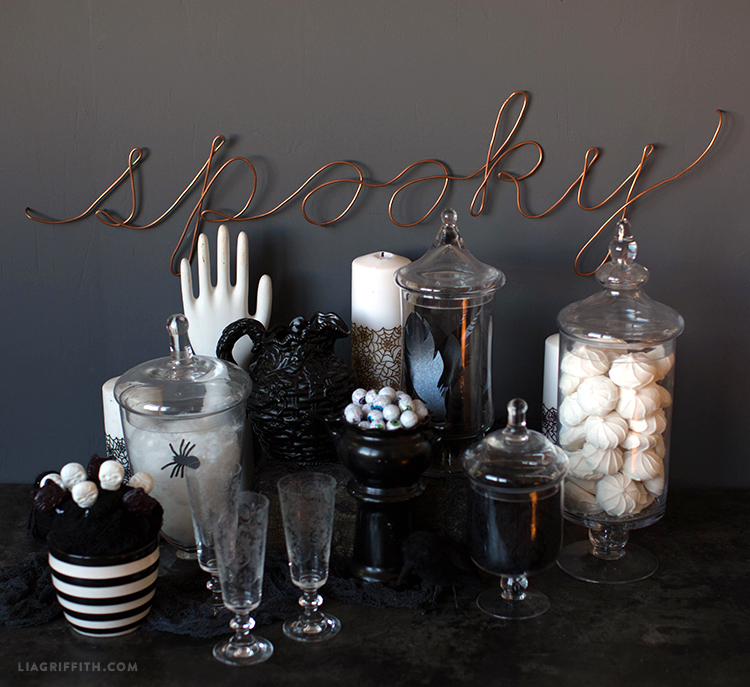 I covered the mirror above my fireplace in fake spider webs and then hung the “spooky” over it. I’m so glad you’re happy with how it turned out! Bending the tubing does take some practice– we also have improvised on the letters!